There is only one problem: Relativity isn’t correct. Relativity doesn’t provide wrong answers in the same obvious way that 2+2=5 is clearly wrong. Instead, it gives good answers, but only to a point. Beyond a specific level of accuracy, it gives increasingly wrong answers. Relativity behaves in much the same way that 22/7 can be used in place of Pi. If we only need two significant digits, 22/7 it will give the exact same answer as Pi: 3.14. But, beyond two significant digits, 22/7 differs from Pi and gives increasingly wrong answers. Only when we understand Pi – its meaning and its value – can we compare it with 22/7 to see that 22/7 is incorrect, but good up to a point. If we imagine a world where Pi doesn’t exist, 22/7 would provide the best answers and we might never realize that it’s wrong. In DISRUPTIVE: Rewriting the rules of physics, Steven B Bryant introduces Modern Mechanics, a unified theory that is more accurate than Einstein’s relativity theory. It explains experiments that previously required three theories: classical mechanics, relativity theory, and quantum mechanics. In addition, Modern Mechanics provides a foundation from which to examine never–before explained aspects of relativity theory. These new insights explain where and why Einstein made several critical decisions, which make relativity unique, and several conceptual and mathematical mistakes, which make relativity wrong. Steven B Bryant is a subject matter leader in the relativity communities of the Natural Philosophy Alliance (NPA) and the John Chappell Natural Philosophy Society (CNPS). He has published several papers on relativity theory, and has spoken at American Association for the Advancement of Science (AAAS) and NPA conferences at universities across the United States. 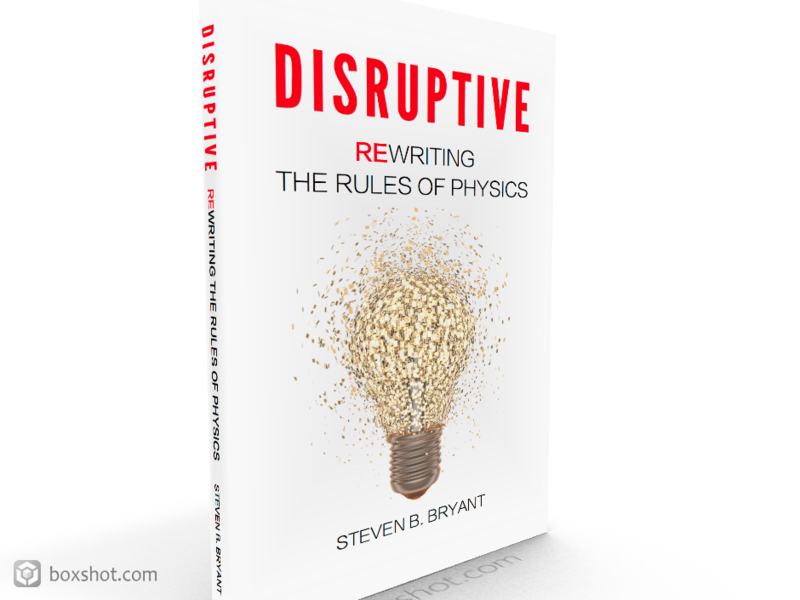 His forthcoming book, DISRUPTIVE: Rewriting the rules of physics, stands poised to fundamentally change how we view physics. *Ranking as of January 6 through January 13, 2016.